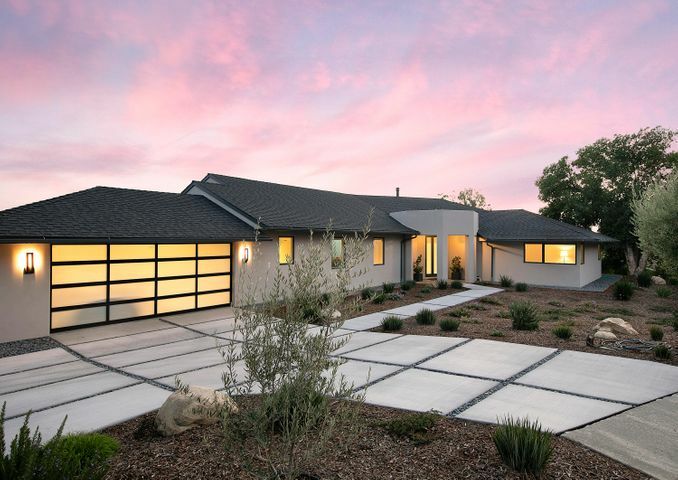 Recent construction with legacy finish – the perfect combination! 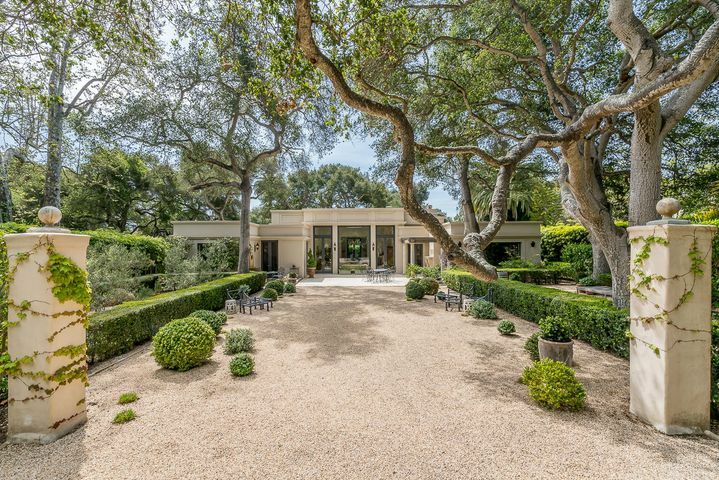 This exquisite Montecito Mediterranean Estate set on 2 flat acres with mountain views offers an incredible Main Residence, Pool House and Guest House with the highest attention to detail, craftsmanship and design. The main residence features a beautiful entry foyer with custom wood, stone and iron detailing. 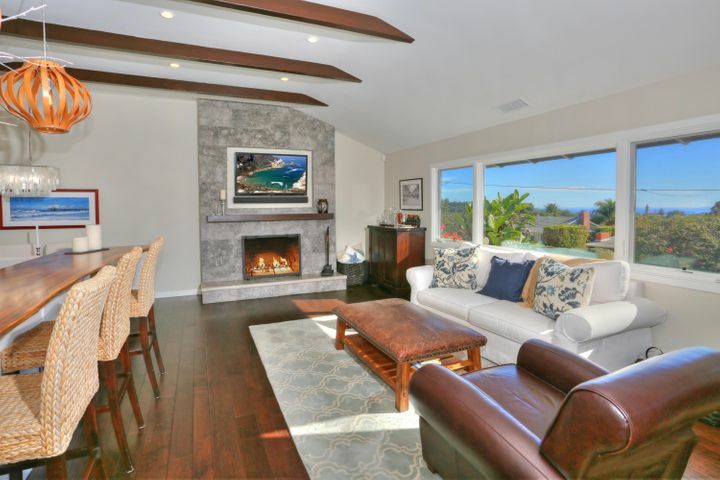 The stunning living room has a fireplace and custom ceilings. The adjacent library has built in bookshelves, custom ceilings, a fireplace, a bar and a private bath. 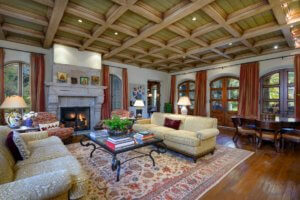 The foyer, living room and library open on to a covered loggia with an outdoor fireplace. 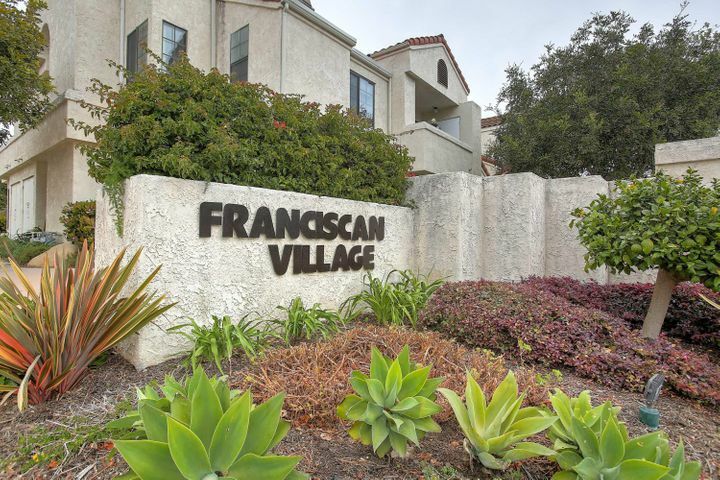 The family room with wine bar opens on to the generous eat-in kitchen with La Cornue range, 2 SubZero refrigerator/freezers, 2 refrigerator drawers, 3 dishwashers and an al fresco dining patio. 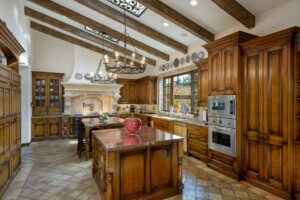 The butler’s pantry leads into the gracious dining room with custom ceilings. In a separate wing, the generous laundry room is near the maid’s room or gym with it’s own private bath. The sumptuous Master Suite with sitting room has his and her baths and closets. A private Master loggia with outdoor fireplace looks on to the stunning and private grounds. There are 3 additional well appointed en suite guest bedrooms as well as an upstairs laundry. There is an expansive pool, pool terrace, and pool house with an indoor/outdoor fireplace, kitchen, bath and 2 additional rooms that can function as an office, gym, or as additional guest bedrooms. A bubbling outdoor spa is located just outside the pool house. 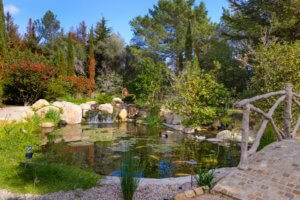 A stone fire pit with custom benches are beside the pool terrace and the koi pond with waterfall and bridge. The charming guest house is a private guest retreat with fireplace, kitchenette and generous bathroom. 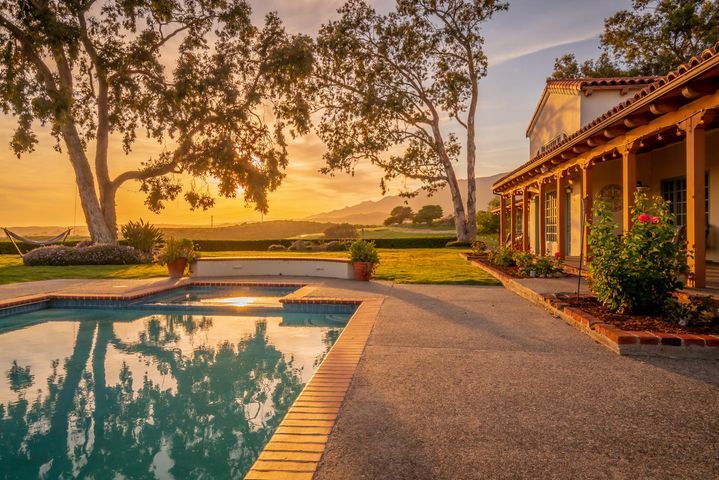 The stately grounds have an expansive pool, an outdoor kitchen, 4 outdoor fireplaces, loggias and patios, a koi pond, an outdoor spa, a raised bed vegetable garden, fruit trees and a beautiful rose garden. You enter this exceptionally private Estate via the guarded gates of prestigious Ennisbrook. 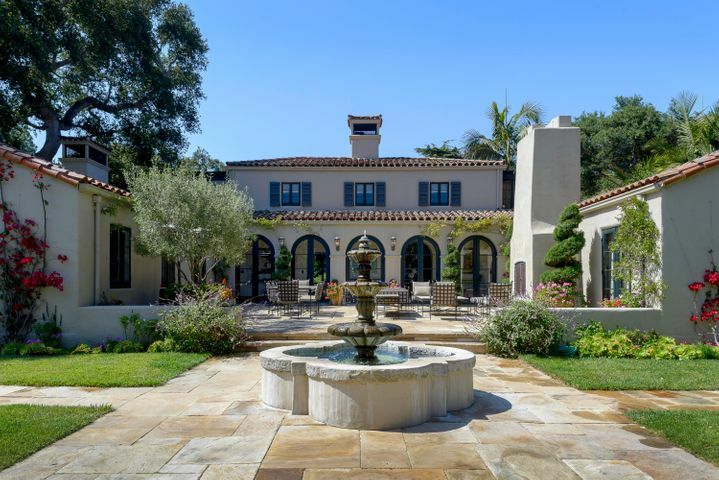 Once at the Estate, you have private ingress and egress gates to the expansive cobblestone motor court with fountain. There is another gate at the beautiful stone porte-cochere accessing the rear motor court with 5 car garage. Ennisbrook affords unmatched privacy and quiet in an immaculately kept guard gated community of high end homes perfect for morning and evening walks along the quiet streets. 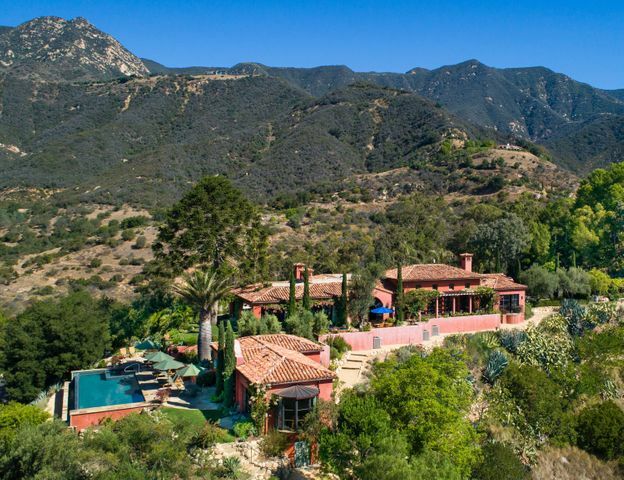 This gracious Estate is within minutes to both the Upper and Lower Village of Montecito and the beach. 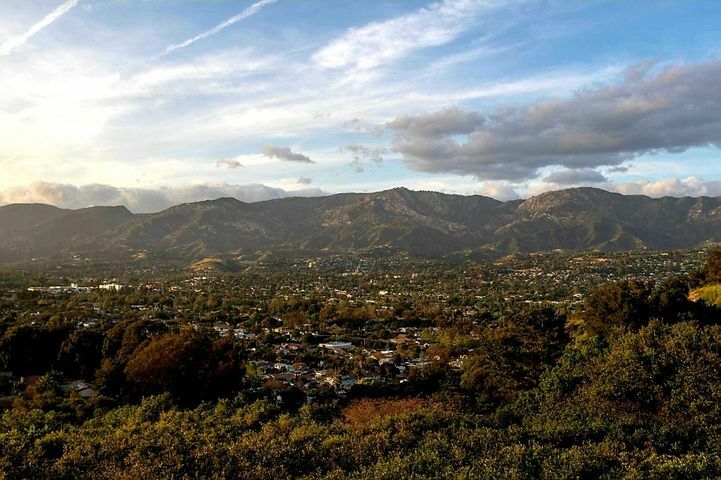 It is in close proximity to the prized Valley Club of Montecito and to the Birnam Wood Golf Club. 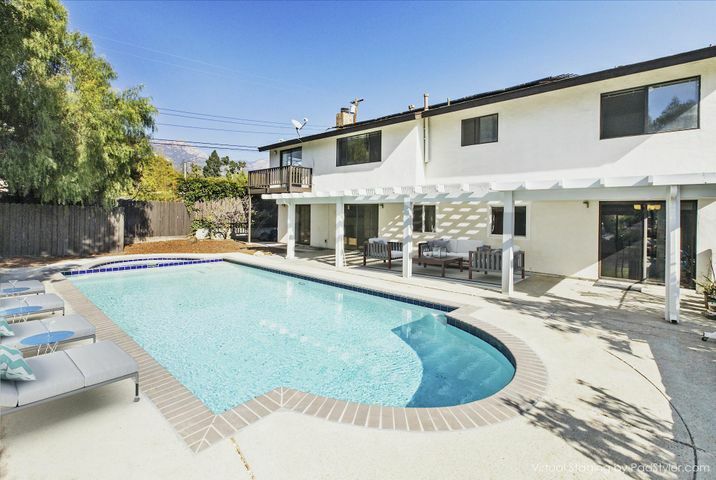 It is also in the highly desirable Montecito Union school district.